Named for: Johann Franz Drège (1794 - 1881) German-born botanist and explorer. 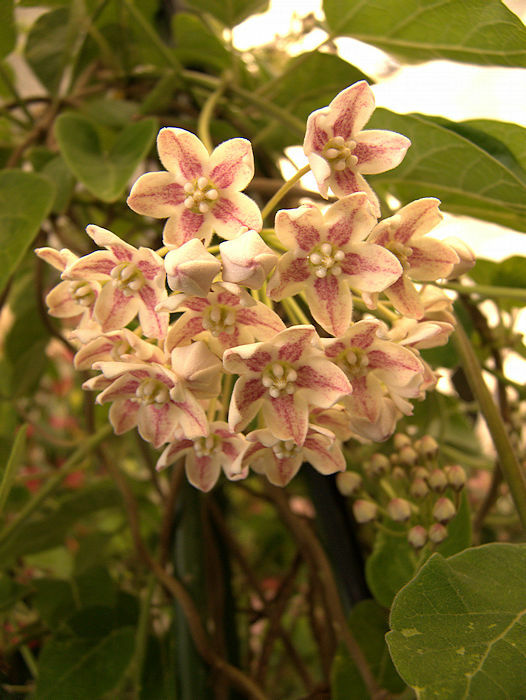 The genus Dregea includes 24 species of shrubby or climbing vines with opposite leaves and in Summer, umbels of fragrant flowers. Native to Asia especially China, and Africa. is a tender climbing vine bearing pairs of opposite glossy leaves with a pubescent underside. 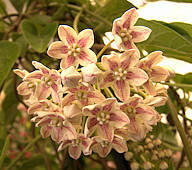 The inflorescence is an umbel on a long peduncle, of perfumed creamy white flowers marked with pink, followed by pairs of seed horns.